This week, we decided to have a laid-back discussion about our guilty pleasure movies: the movies we kind of like, but don’t want to admit it. It’s a free-flowing conversation, basically, and a chance for us hosts to learn a lot more about each other’s tastes and…weaknesses? 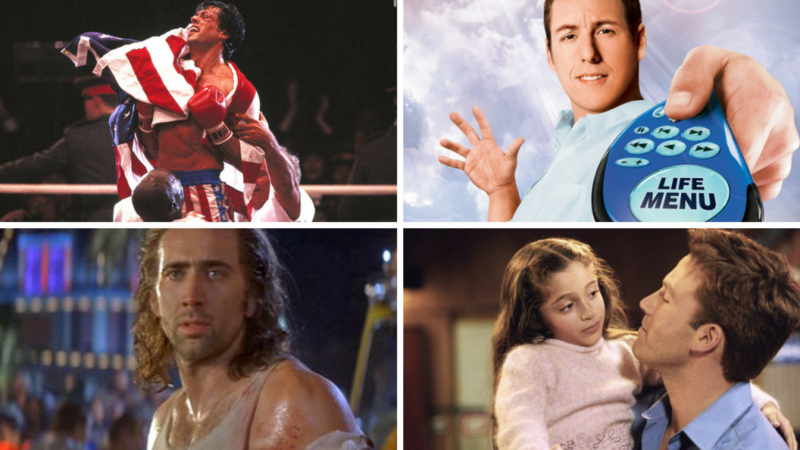 Let us know what you think of this format, and also let us know what some of your guilty pleasure movies are! They can come from anywhere, so we’d love to know what you take (guilty) pleasure in. Also, since everyone has their own definition, what does the phrase ‘guilty pleasure’ mean to you? And finally, what do you want to hear from the show? Are there any topics, franchises, or formats that you would be interested to hear us talk about? To me a guilty pleasure movie is anything you love, but feel guilty about loving because you know a lot of other people dislike it. Simple as that. So for me that counts movies like Waterworld and basically all of the Scary Movies. That’s an interesting way to look at it. It really speaks to the ‘guilt’ element of it. I’ve heard some pretty crazy things about the Scary Movie franchise, so we may have to tackle that series eventually. oh yes, Click is absolutely a guilty pleasure. I’d also add Grandma’s Boy and The Benchwarmers, couple of Happy Madison movies I feel terrible about adoring. Does Frozen count? Great show guys. You should do an episode about best Oscar Best Picture winners to be timely. I’m gonna go with the movie Sam had to watch on Cinemaholics. Green Street Hooligans, baby. That’s a great one. I find that really fascinating the more I think about it. I read your review but went to see this anyway because I hoped my younger sister would be into it but damn you were right on about how the plot went right over both our heads. We both loved some of the visuals and stuff, but we couldn’t stop checking my phone to see when this thing would end and it wasn’t even that long! Strange Magic and Suicide Squad are guilty pleasures for me. A couple of topic suggestions: (1) Top five movies my father/mother/sibling/partner made me watch; and (2) top five movies who were screwed out of winning the best picture oscar. A topic similar to your guilty pleasure topic is movies that if you come across it on TV that you stop surfing and watch until the end. BTW, I am really enjoying the podcast!